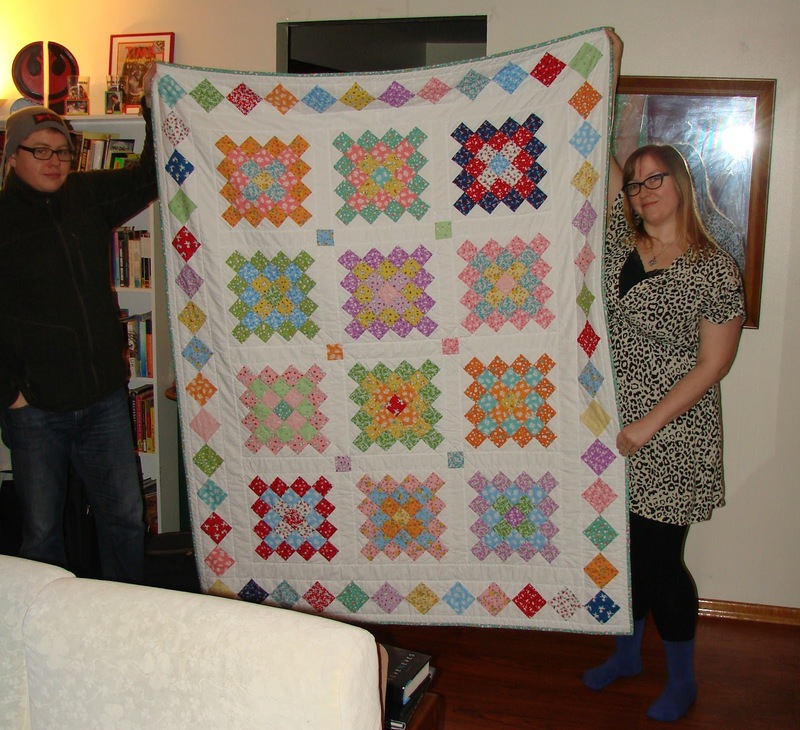 This quilt had been on my radar for some time. When I first saw the pattern, I couldn't wait to try it out. That was a few years earlier but I finally came up with the perfect project for it. Recently, on a trip to Portland Oregon I was able to deliver it to my son's girlfriend just prior to her birthday! 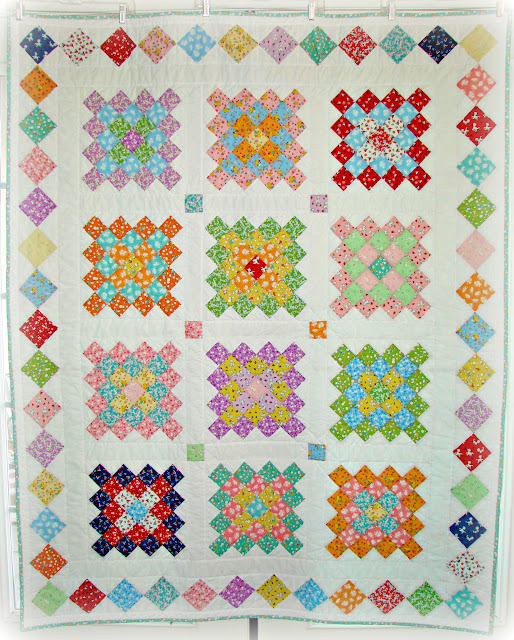 The block pattern is called a "granny square" and was designed to replicate the look of crocheted granny square afghans. I'd made a few of those many years ago and one shown below for my parents. 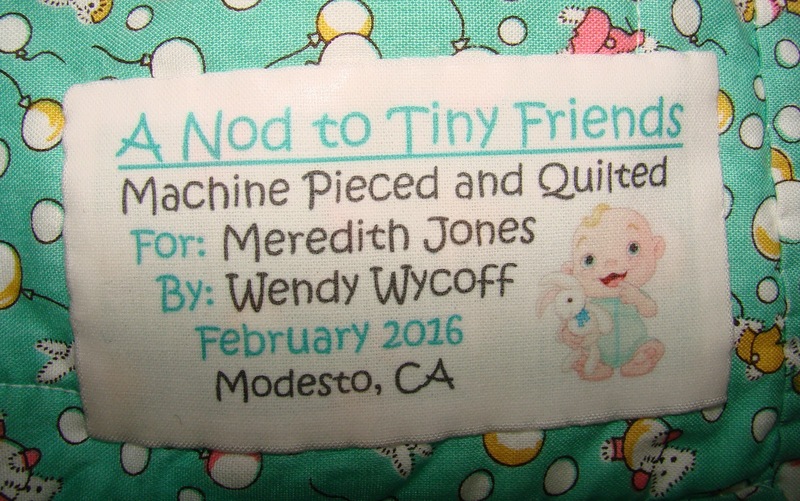 Now Meredith works in day care and loves the little people she cares for and also loves "tiny" things. 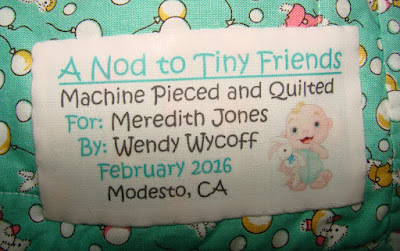 So when I saw this fabric line called Toy Chest by the Penny Rose Company, I knew I had the perfect plan for her quilt. Each print has a tiny version of either animals - ducks, bunnies, teddy bears, even scotty dogs OR objects like sailboats and anchors OR baby shoes, birds and little lambs. And in a variety of colors as you can see in these samples. There's a lot to see and I think fun to look at from any angle. 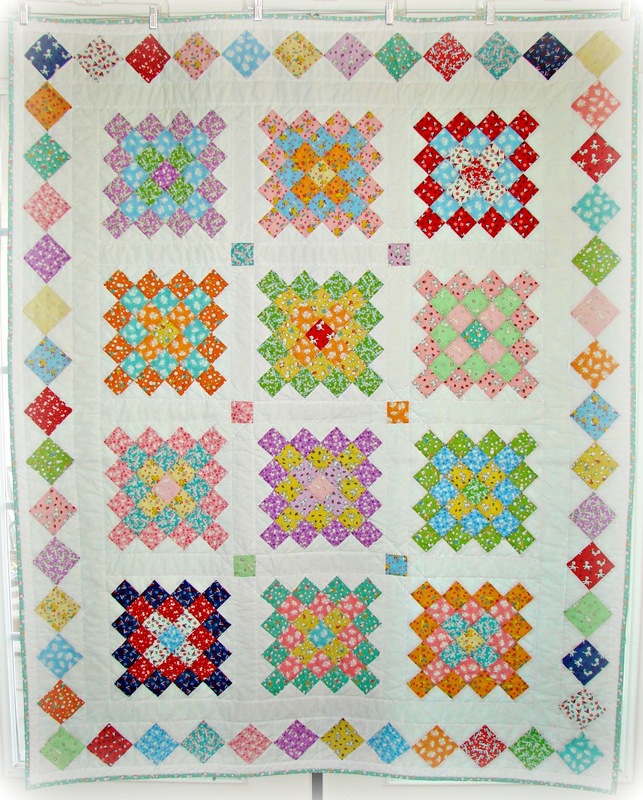 Hope you find comfort and feel the love included in this quilt!